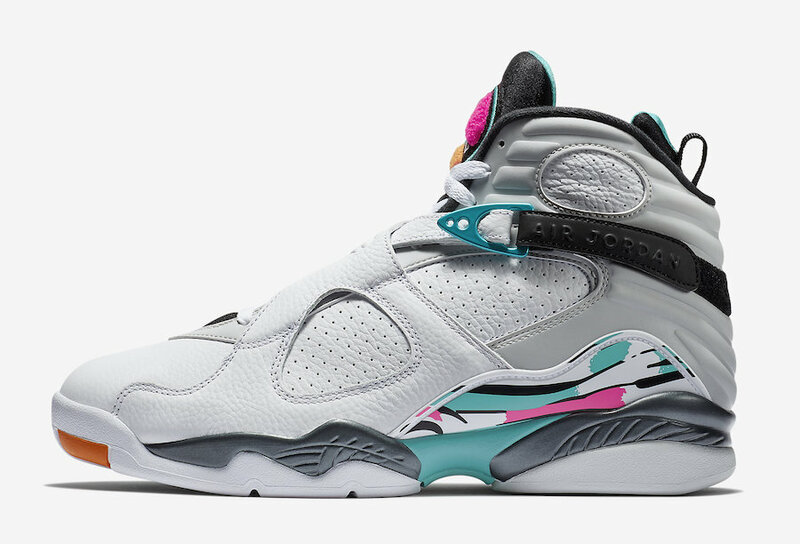 Jordan Brand will be releasing an Air Jordan 8 featuring a “South Beach” take. 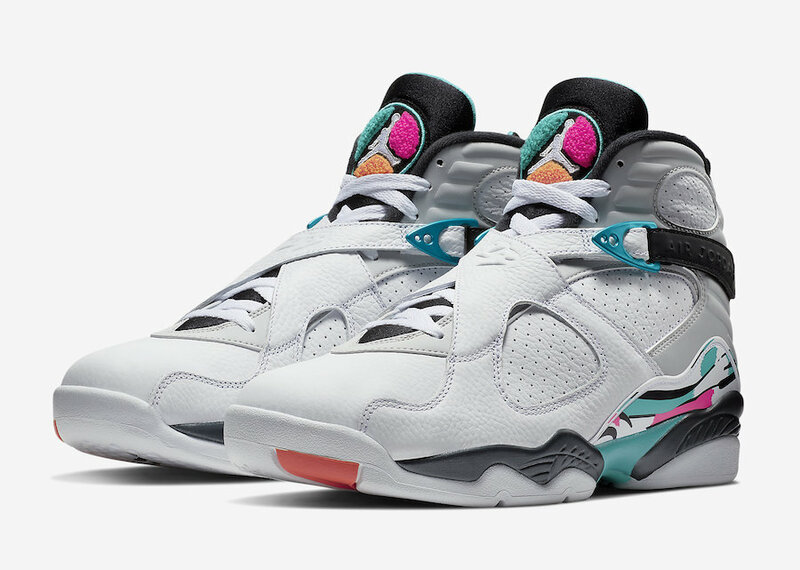 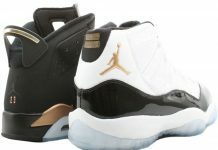 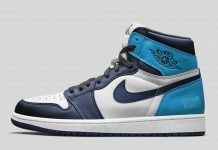 The Air Jordan 8 will feature a color combo of white, turbo green and multi-color, with a full on grey heel. 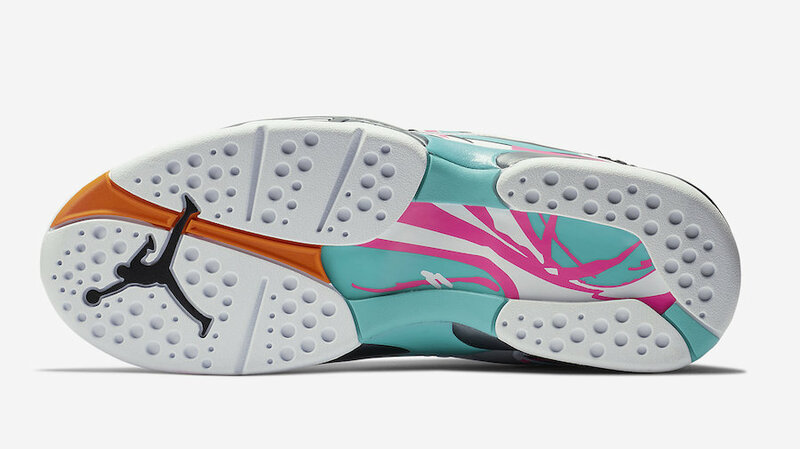 Hits of pink can also be seen on the mudguard, as well as the classic Air Jordan 8 fuzz logo on the tongue. 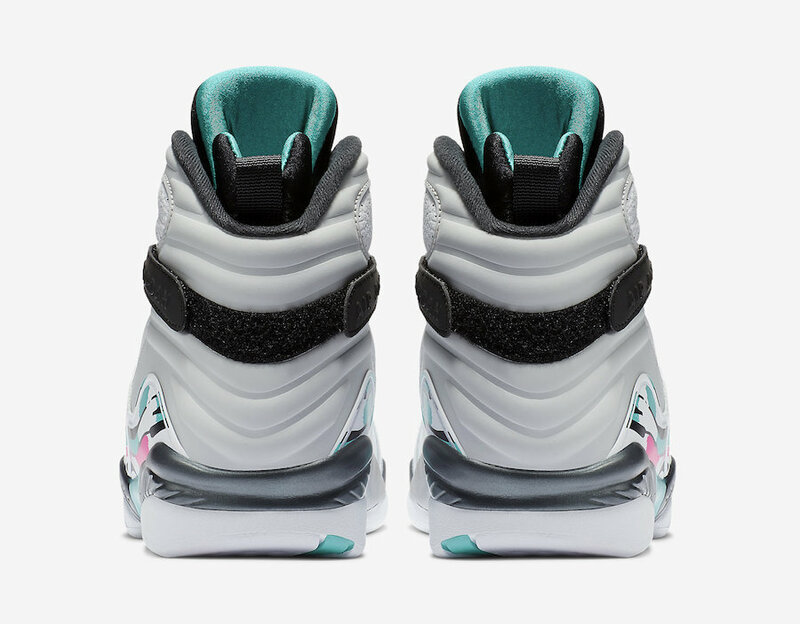 The Air Jordan 8 “South Beach” is set to release on October 13th at Jordan Brand retailers for $190 USD.